This year, I decided to add one more fun tradition and celebrate the Epiphany with a "king cake." By this time, we are feeling a little void of all of the Christmas excitement. The decorations are put away. It feels a little empty, even though Jan. 6th is officially the end of the 12 days of Christmas. This was a nice way to bring a beautiful season to a close. The Epiphany is the celebration of the three wise men arriving to see Christ in the stable. What a beautiful thought...the Christ child lying in a manger...the one to set us free from our sins. Three wise men, dressed in finery, silent and solemn looking at hope. Pure grace. With gifts of love. That is what I want this year...a manifestation of how I look at Christ and His plan for me. To receive His love gifts of grace with an open heart mind and to become more grace-filled. Some of the kids made king's crowns. We read the passage from the Bible about Herod sending the three kings to find the new King...following a great star. I gave each of the kids three small gifts to represent the frankincense, gold, and myrrh. We ate and enjoyed the king cake, in which I hid a small hard bean. The person who found it, was the winner of a small prize:). "The "king cake" takes its name from the biblical three kings. Catholic tradition states that their journey to Bethlehem took five days (the Twelve Days of Christmas), and that they arrived to honor the Christ Child on Epiphany. The season for king cake extends from the end of the Twelve Days of Christmas (Twelfth Night and Epiphany Day), through to Mardi Gras day. If you would like to make one, my recipe is from HERE. There are many different recipes for the cake! My friend Anne-Marie was planning on making a beautiful French version with a lovely puff pastry crust:). Hope you all have a fantastic and restful weekend! 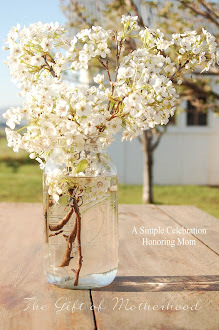 PS: Don't forget to pop on over to Anderson Family Farm's Giveaway!! There are some wonderful products to win for free:. This looks like such a fun, family tradition. Good job, momma! Your children are so blessed to have you. Just beautiful, all of it!!! What a wonderful way to end this season of Christmas. I really love this post. What a great tradition! The students at our school celebrate Day of the Epiphany! Most Latin American countries exchange gifts on this day, keeping Christmas Day truly a day of worship. My son's fourth grade just shared a King's Cake on Friday in Spanish class. So fun. Thanks for posting this. And I'm feeling really blessed to have found your inspirational blog! Wow, Great job Julia, I am so blessed Millie Joy was invited and had such a sweet made memory! Thank you dear friend and neighbor!